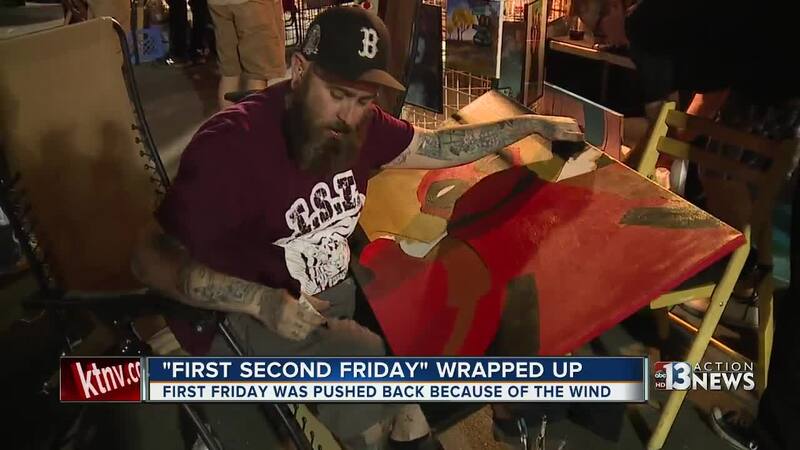 Organizers of First Friday moved this month's First Friday to April 14 because of weather. 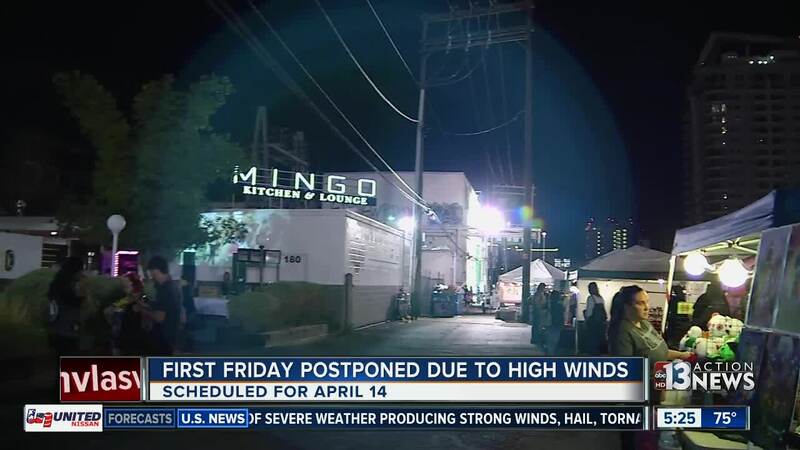 High winds were predicted for the Las Vegas valley on April 7. "The most important thing is that we keep people safe, but we definitely didn't want to cancel the event. Thankfully all our artists, vendors, sponsors, and community members were very supportive of the idea of moving the event back a week. April 14th will be a fantastic night for the First Second Friday, and we're excited for it!" said Joey Vanas, First Friday Foundation's Executive Director. First Friday's Featured Artist – David Leiserowitz is self-taught and picked up his first paintbrush in late 2015. In under two years he has developed a collector base that expands across the United States, exhibited his work in galleries, and has been commissioned by several local businesses and homes. First Friday’s Featured Entertainer - With influences ranging from Tupac Shakur to Jack Johnson, Mike Xavier is on a mission to change the world around him for the better, one song at a time. Tilting the Basin will be open for patrons to enjoy with parking options on Commerce. 6 to 9 p.m. food and drink, entertainment, gallery tours, hands-on art and discussions about a permanent art museum in Las Vegas (920 S. Commerce St.). We Are 3D360, a virtual reality – open at First Friday. New Wellness Village – offering yoga classes, local makers (beaded jewelry, macrame, plants, hand illustrated cards, crystal jewelry), sister house collective pop up shop, healers, Vegas Roots selling veggie bags, the UNLV Student Sustainability Council sharing about recycling & composting and live DJ beats. A few activities still took place April 7. Click here for more information about First Friday.